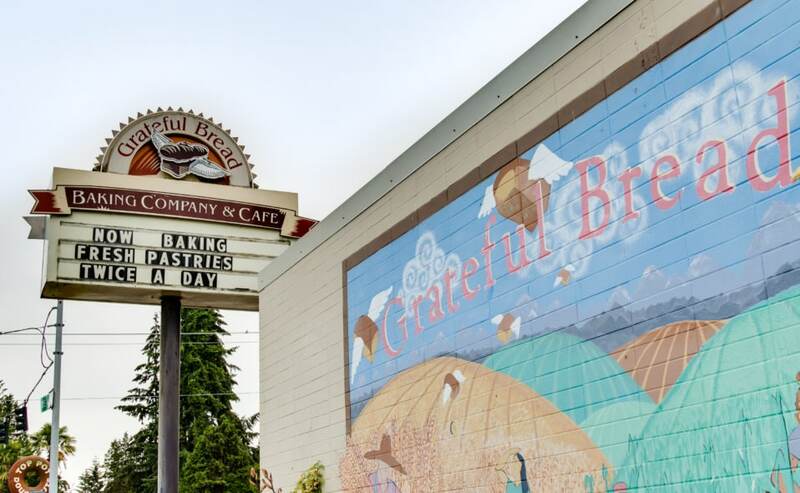 As far as north Seattle goes, Wedgwood is about as central as it gets, meaning there is easy access to countless parks, activities and dining outside the neighborhood's boundaries...but there's a LOT going on within those boundaries, too. Property values have increased here just as they have everywhere else, and density has made the neighborhood a patchwork of commercial and residential areas, and yet it maintains a certain old-school pride and character that residents in other neighborhoods lament has been lost in recent years. You know those P-Patches we love in Seattle? Wedgwood started them. You know that quirky vibe that people associate with the Pacific Northwest. Wedgwood still has it. (And yes...it really is spelled with one 'E.') No wonder it is the proud home of young families, older couples and young professionals alike. Satsuma: Possibly the cutest baby boutique ever. Don't have kids? You STILL won't leave without at least smiling. Cafe Javasti: Super delicish crepes, pastries and coffee and crisp contemporary ambiance. Inverness Ravine Park: A quintessentially PNW park. It may be less than 3-acres, but being there transports you into another world. Zaina Food Drinks and Friends: Family owned and operated mediterranean goodness. Wedgwood Alehouse & Cafe: An old-school pub that prides itself on its free pours, pub food, patio seating and bar games.